I love wearing hats and headbands. 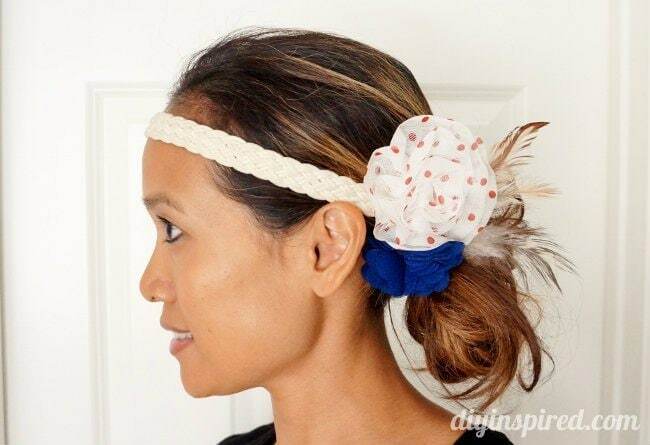 To dress them up a little, I make a DIY hat clip or headband clip, especially for special occasions or holidays. 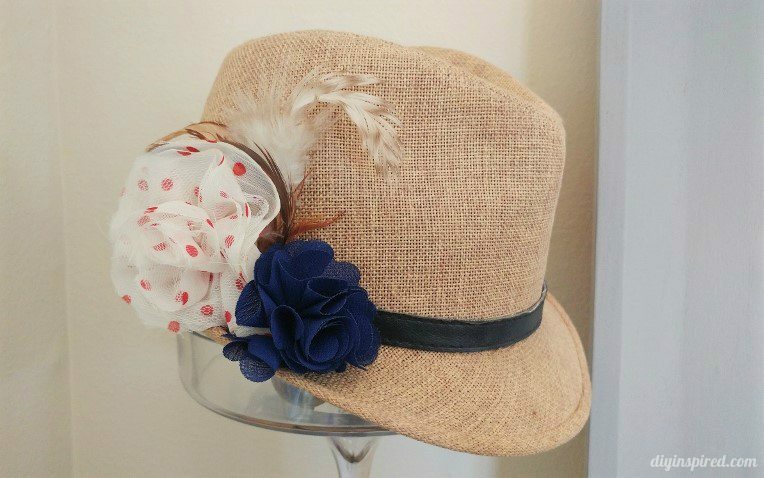 It’s a really simple way to add a little personalized touch to your hat or fabric headband. You can also use them as barrettes and clip them right into the side of your hair or in a bun. Here’s how I made them. This particular clip was one I wore on the Fourth of July. 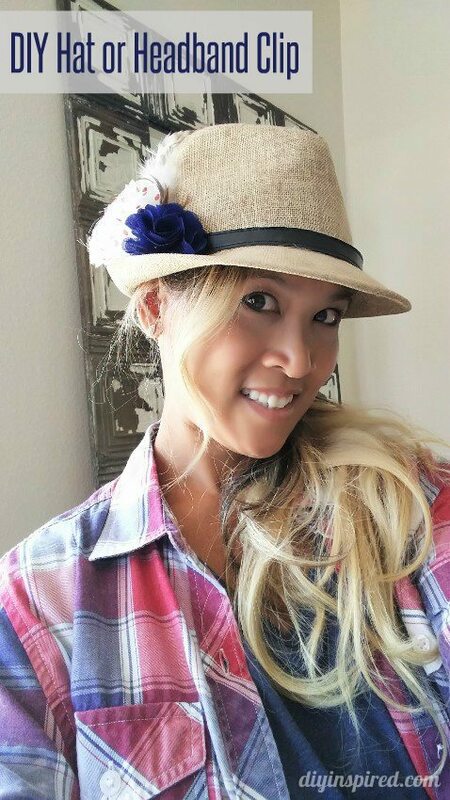 You can mix up so many colors and patterns to fit your mood. 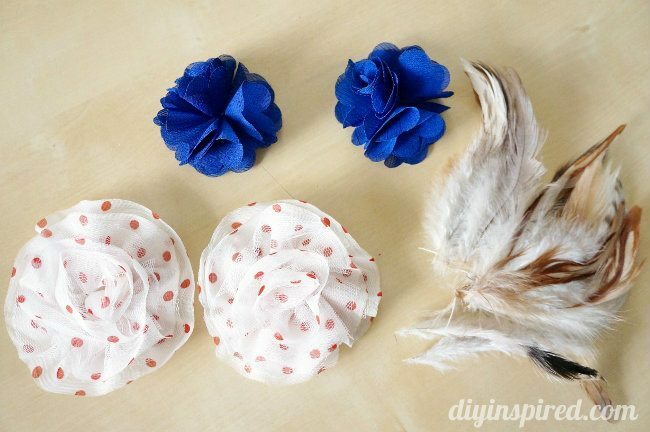 I picked up these fabric flowers at the craft store or you can make your own. Arrange a cluster or grouping on a piece of felt. Play around a little bit to make it just right. There is no incorrect way of doing it. Then, once you are satisfied glue them down onto the felt with hot glue. Trim off the felt as shown. 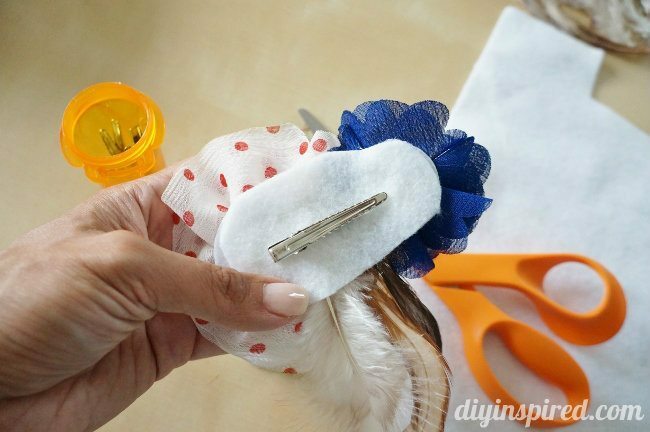 Next, hot glue a metal hairclip onto the felt. I made two: one for me and one for my friend. 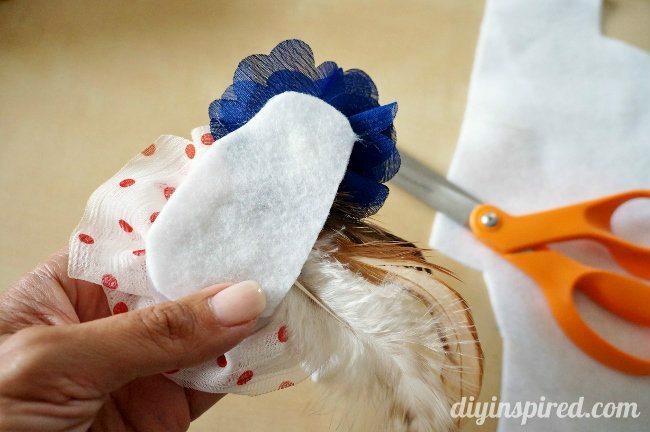 Clip them onto a hat or headband. 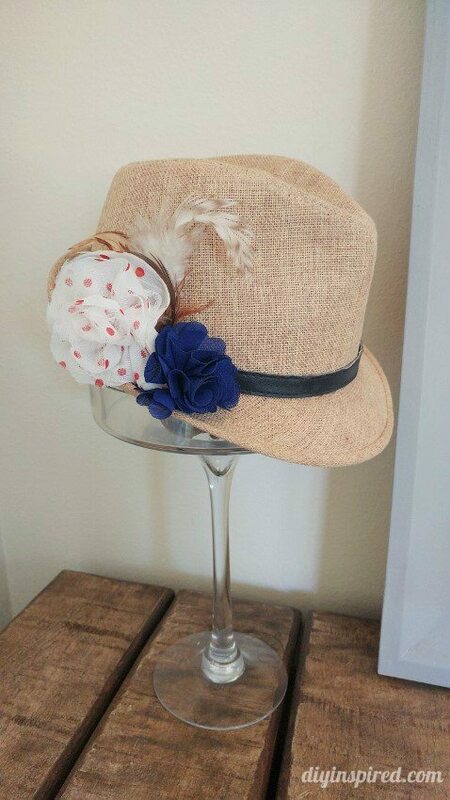 They look cute on fedoras, floppy hats, fabric headbands, or in a messy bun. You can wear them to concerts, holiday parties, or just to the store! I used to make these all the time but never though about clipping them to a hat. What a great idea! How fun and creative! Thank you for posting on the Merry Monday party. Thanks again for having me! I love participating each week!